For 2019, we’ve made the student entry list a searchable online database. Type in your student’s name to find their entry information, and download and print out their participation certificate! Each spring, students in 4th grade through high school compete in Humboldt County History Day, held at Humboldt State University. Through the rigorous process of researching and preparing creative and original History Day projects, students learn and analyze issues, ideas, people and events in history and apply that knowledge to their projects. 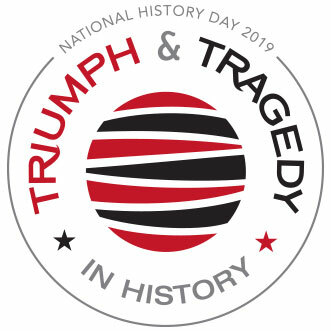 The projects must reflect that year’s National History Day theme. The 2019 theme is Triumph & Tragedy in History. Students can participate individually or in groups. Students in grades 4 and 5 must use posters to interpret the theme. Those in grades 6-12 choose from one of five categories: Documentaries, Exhibits, Historical papers, Performances, and Websites. Local history experts judge the projects and select those who will advance to State History Day. Winners at State compete at National History Day near Washington D.C. in June. The student registration deadline for Humboldt History Day has passed. If you are interested in being a volunteer or judge, register using this Google Form. Papers due by noon. Send Word or PDF file to Paul Geck at paul.geck@humboldt.edu.